I need that set. Seriously NEED. Your cards are all so perfect. Love the design with the feathers broken between top and bottom. So creative! 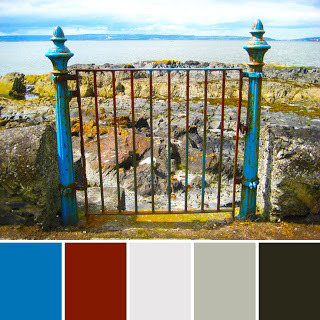 And I did the same color thing last week, making six or seven color variations of the same design. It was fun! Love these cards! Who knew feathers could be so....awesome? Like Susan, I love the way you broke the feathers up on the card front. That adds so much interest to a clean and simple design. I vote for hoarding a few ( your favorite color combos ) and giving a few as gifts! OHHH!! 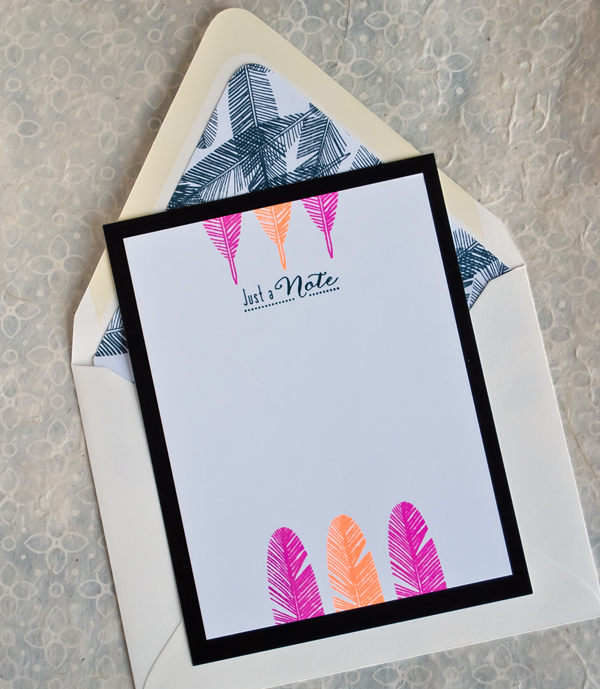 LOVE LOVE the design with the feathers!! And I think my favorite color combo is the same as yours. Just enough of a pop without shouting NEON! What a super design Joan B!! so glad to see you here tonight!!! love the inside of the envelope stampings - the unusual design with bottoms on top and tops on bottom!! and all the colors! - beautiful!! Love the simplicity of the cards, and the detail in the envelopes! Wonderful! What a fantastic idea - love how you've used the set and that fabulous CAS design...I don't think a man would notice the envelope would he?! Should be a boxed set at Anthrpologie. telling you, you're on to a great design! Love every color way. And the envelopes too! O My GOSH!! 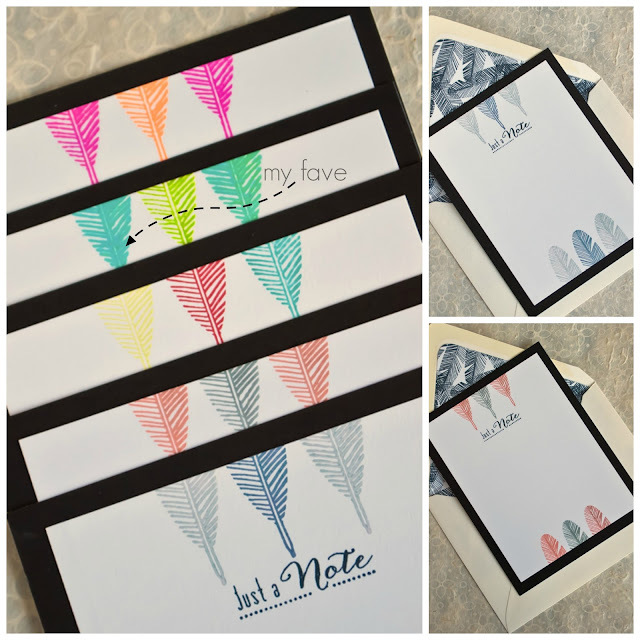 Wonderful cards ... the color diversity is just gorgeous, love the envelopes that you also decorated from inside! OMGosh these are amazing Joan, every card is a great combo of colours!! hats of to you! and best of luck in the challenges! Such a striking card set. 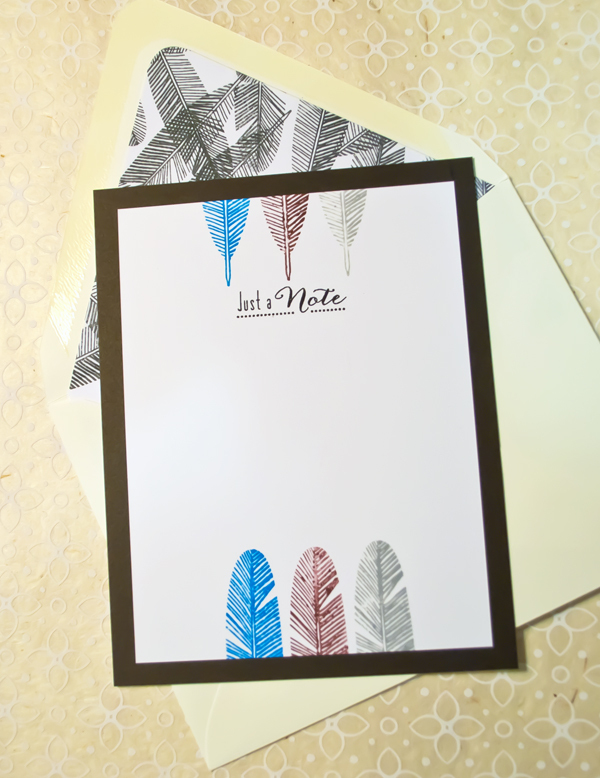 Those feather stamps are lovely (though I'm resisting) and you've showcased them magnificantly.